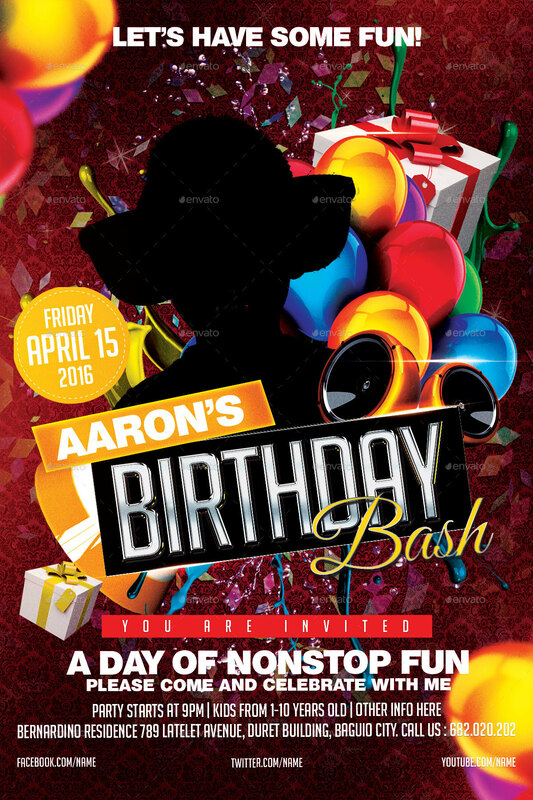 BEST FOR YOUR KID BIRTHDAY BASH PARTY . CAN ALSO BE USED IN ANY CLUBS , PARTY AND OTHER EVENTS . This flyer can also be used in Childrens Parties, Event Parties, Holiday Parties, Club Parties, Birthday Bash, etc. INCLUDED IN THE MAIN FILE 1 PSD Text file – Links for the fonts i used.